Ants detest cinnamon, which makes it a good kitchen counter insect deterrent that is already at hand in the kitchen. Leaves counters clean and smelling great. Recipe Instructions: Diffusers : Sprinkle powdered cinnamon liberally on entry points and trails. 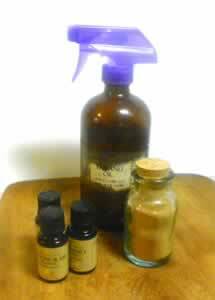 You can also make a spray bottle using cinnamon essential oil and vinegar. Make it strong, using 100 drops or so to a medium size spray bottle.